The new Creators Update will give you more control on when the PC resets, reports CNET. Picture this: You’re working on an important office document, the deadline is in minutes, and just when you think you’ll make it in time, Windows 10 restarts. It shows that annoying update/reset screen, because guess what, unbeknownst to you, the operating system downloaded and installed updated in the background. Then, at an opportune time, like the one described above, it decided to simply reset the PC and install the new updates. It’s common sense, right? After all, why should your operating system obey your commands? You didn’t make it, Microsoft did. So it obeys Microsoft, not you. Well, not anymore. The Redmond-based company is finally doing something about these annoying updates, reports CNET. No, don’t rejoice just yet. 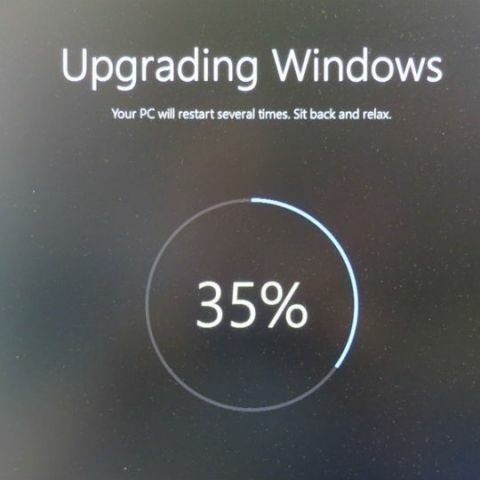 Windows 10 will still push updates in the background, so your data FUPs will still take a hit. What won’t happen are the annoying restarts. According to CNET, the upcoming Creators Update for Windows 10 will let users choose when their PC restarts. CNET explains that a dialogue box will pop-up, asking you to Restart Now, Pick a Time or Snooze the update. If you choose to Snooze it, you’ll be allowed three more days each time you hit the button, until you reach the 35 day mark. And then, you’ll have a “Remind Me Tomorrow” option, which will appear daily. So, instead of frustrating you by resetting in the middle of important work, Microsoft will irritate you into updating your PC. The new way will most certainly be annoying, still, but it at least gives you more control on when updates happen. Also, you can’t really blame Microsoft for pushing you to update the PC by showing you pop-ups again and again, since an updated computer is for your own benefit, especially when there are important security updates pending.